We can tell you from experience, these tools really work. And I bet you already have them on hand. Just a simple flipchart and a few markers. Yup, you heard that right, just a flipchart and markers, and a few tips to unlock their potential. With these three simple flipcharts, you will immediately see a huge improvement in your meetings. And who doesn’t want to have better meetings. I mean seriously did you know there are companies out there having meetings about having less meetings. Okay, so let's talk about these 3 MUST HAVE FLIPCHARTS. 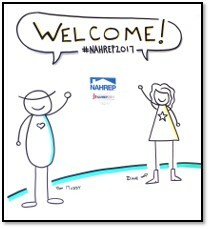 First, these are more than just flipcharts. They are tools. They can actually help you co-facilitate your meeting. They can help your team engage, stay on target and accomplish the goals. The three flip charts are: 1) WELCOME, 2) AGENDA and 3) PURPOSE. We also have a BONUS flipchart at the end! 1. Welcome Wall. Let's start at the beginning. 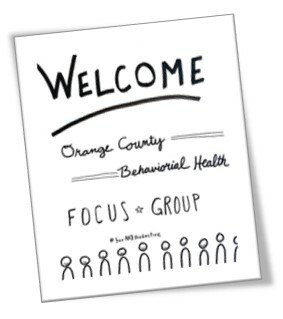 From the moment a participant first walks into the meeting space, the environment begins to shape their expectations. You can set yourself up for success with a simple hand-crafted welcome sign right at at the entrance. A welcome sign lets people know they're in the right place, and it can prime their experience with gratitude. An easy formula is to include a welcome message and a simple icon. 2. Meeting Agenda. 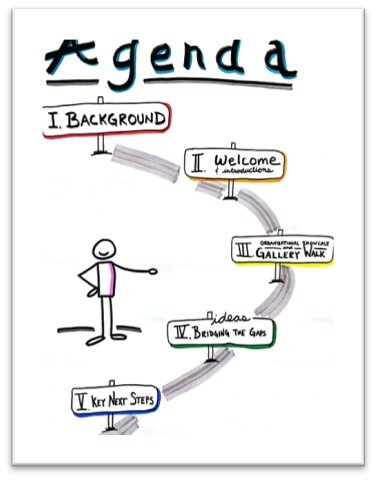 The next flip chart that will help every meeting be more successful is a simple agenda. It doesn't have to be detailed, just list the main topics or sections of the meeting. 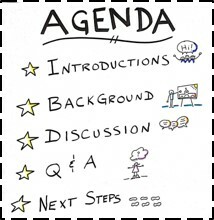 The agenda helps the participants understand what is going to happen during the meeting and can help the meeting stay on track and on task. During the meeting, it also acts as a co-facilitator by letting people know where we are, what we have accomplished and what is coming next. Adding visual elements to the agenda will increase audience engagement and help spur creativity. Consider adding a few simple icons (check out our Top 50 Business Icons for some inspiration.) You can also experiment with a creative layout for your agenda, such as a journey or a pie chart. 3. Purpose Statement. 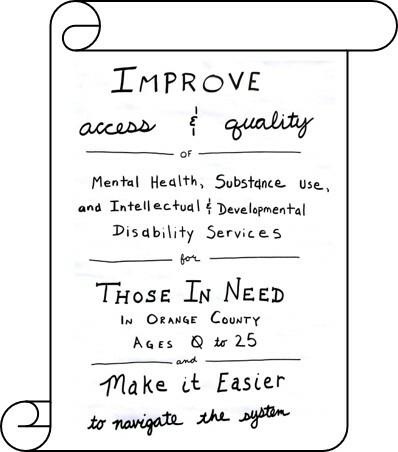 The next flipchart we recommend is a concise purpose statement or list of goals. This can be the goals for the meeting or the purpose of the larger project that you're working towards. This flipchart answers the question, "Why are we here?" The value of this simple flipchart is tremendous because it gets everyone on the same page right from the onset of the meeting. So, everyone will be operating from a common understanding and pulling together toward a common goal. It may only take you a few minutes to make this flipchart, but it can save you so much time by increasing alignment and helping the meeting stay focused. It also serves as a co-facilitator by reminding everyone what you are there to accomplish, which is especially helpful if the meeting begins to stray off track. We also included a BONUS flipchart with another great tool to help keep the meeting on track. It's called the Parking Lot. BONUS: Parking Lot. It's easy for a meeting to get side-tracked when someone has a great idea or a burning question or even a practical concern that is related to the discussion, but not totally on target. This flipchart, the Parking Lot, is a great way to handle those situations and keep the discussion focused. It's easy to make. It's just a blank flipchart page with the words "Parking Lot" written at the top to serve as a ready-to-go place to "park" those ideas, questions and concerns that inevitable arise during the meeting, but that you don't want to take the time to address in the moment. You can simply capture the idea or question on a Post-it note and put it in the Parking Lot for later. For the facilitator, this is a great tool to keep the meeting on track, while still capturing related ideas and questions. For the participant, there is another important function of the Parking Lot. It allows participants to feel heard and to know their concern will not be lost, which allows them to come back into the discussion and be present. Otherwise, they will likely be thinking about their idea or question and be "tuned out" from the meeting. 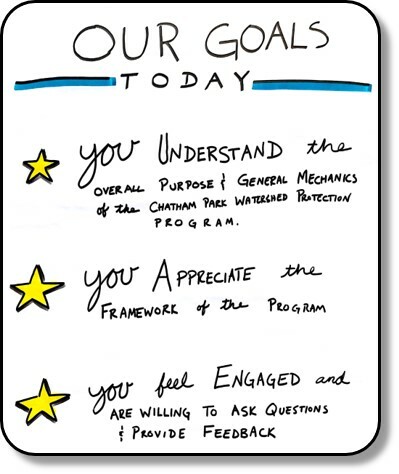 This bonus flip chart is a pro tool to keep your meetings focused and productive while also honoring the related and tangential thoughts from your participants so they can be addressed at a later time. We hope you picked up a few tips to help your meetings be more successful, more productive and more fun! And you can begin using these tips with the supplies you already have on hand. As you begin to use these 3 Must Have Flipcharts at all your meetings, you will notice that you're getting more done in less time and everyone is more engaged! as a rising leader and innovation champion. If you want to learn more, have us at your next meeting or train your team how to supercharge results, we invite you to schedule a discovery call with Muddy & Diane to discuss how we can help you and your team UNLOCK AWESOME at WORK. And be sure to subscribe to Whiteboard Wednesday and check out previous episodes for more awesome tips, tools and techniques.